Road rage is becoming an increasing concern in South Africa, in addition to ‘aggressive driving and other hazardous driving behaviours’. On a monthly basis, you will find a video making its rounds on social media of an attack on another driver. But there are plenty incidents that are taking place on a daily basis that are not going viral. Internationally, road rage and aggressive driving are perceived to be a massive problem. 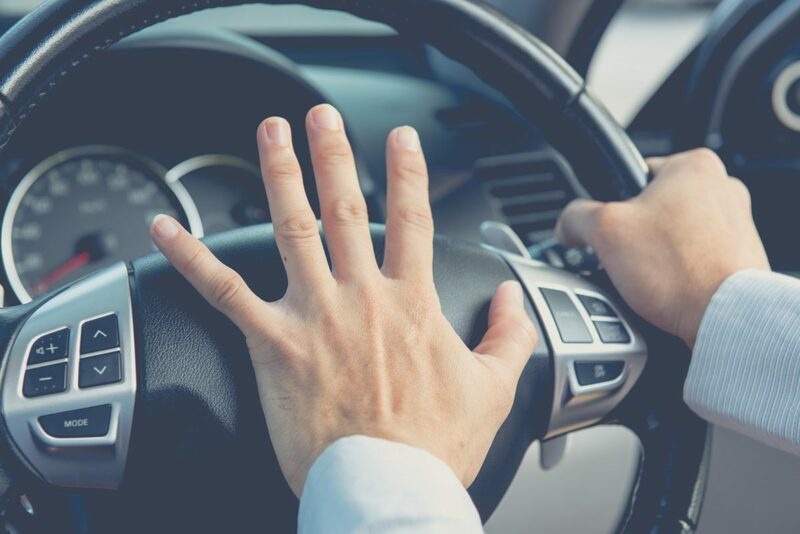 Road rage embodies an assortment of aggressive behaviours such as screaming/yelling/ shouting, and also using items and/or weapons to inflict harm to another driver of a vehicle. 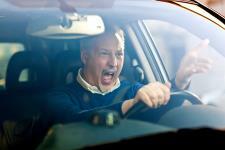 Tense situations of accidental collision are further worsened by drivers’ inability to control their temper. Other times this inability of temper control behind the wheel is the cause of a collision. I’ve been digging for accurate statistics and found this on Arrive Alive: Compared to other countries, South Africa has a lack of scientific South African data on driver aggression. “Considering the high international prevalence and the disproportionately high traffic statistics in the South African context, it was pertinent to initiate an exploratory study to determine the nature, extent and profile of these behaviours.” This was conducted in 2003 so it didn’t help much. Then I found this infographic based on UK drivers and in my opinion, I would say it’s roughly about the same here. Speeding recklessly, hitting red lights, tailgating, flashing of headlights at the car in front because they’re going to slow, sound familiar? What about drivers who hoot at everything or don’t make use of their indicators and then still flip people off with their fingers? 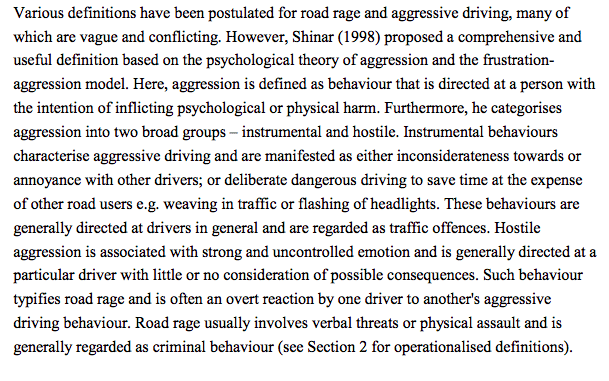 These are aggressive driving behaviours which often lead to road rage. Your immediate response may be to get back at them by speeding also to get in front of them and do the brake-test or speed up to tailgate them back in order to “teach that driver a lesson”. Don’t! How is that any better? Because of this road-ego people get run off the road, end up in car accidents and or in hospital from a hand fight or getting shot by another enraged motorist over a trivial circumstance. These behaviours, whether the main culprit or counteracting, is still engaging in distracted driving and is highly dangerous in its own regard. And your life over this is really not worth it. Aggressive driving plays a role in almost 50% of traffic fatalities. 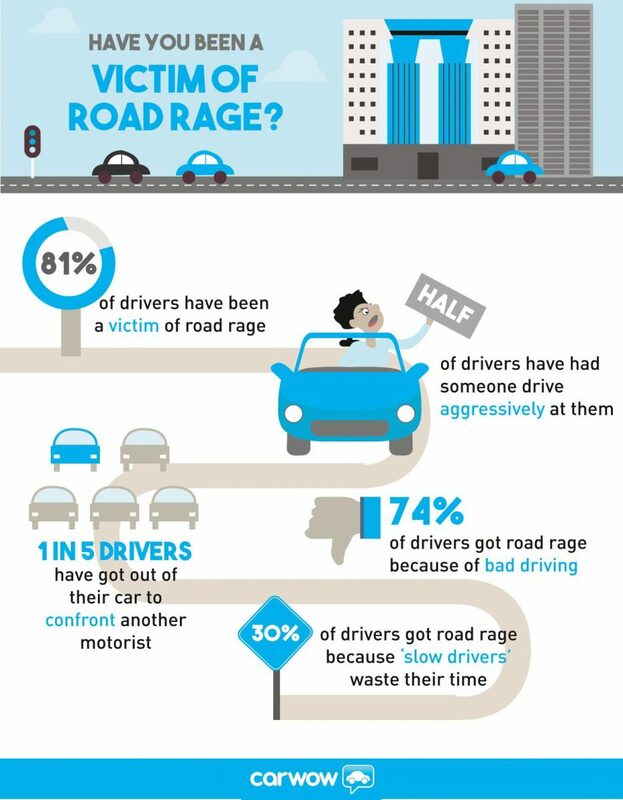 About half the percentage of drivers who encounter aggressive driving behaviour respond with the same behaviour. A firearm is involved in around 30% (give or take) of aggressive driving incidents. 2. Is someone being confrontational or aggressive? If so, don’t make eye contact and don’t react visibly. Try not to think about them so that the incident doesn’t affect you afterwards. If the other party is still being aggressive toward you and you are in fear for your own safety, call the police! 5. Don’t open your door, don’t open your windows fully and don’t start or get provoked into an argument. 6. If you were at fault, admit it and apologise. Many times this is enough to diffuse a situation quickly. And do not do anything that can be interpreted as retaliation. Even if you weren’t at fault, is the argument really worth it? 7. If someone is tailgating you, just move over. 8. Robert Schaller wrote in his RoadTripAmerica scripts about the ‘Yield Anyway!’ strategy. This entails giving another driver way, even if it’s your right of way, to prevent being hurt. It’s not a traffic law as such but rather a defensive driving practice. Many times the right of way rules are confused or misunderstood by people. And in the interest of safety, it’s always best to just give the other guy the road. Sometimes you have to think about the outcome over the principle. If you encounter any such incidents, it’s likely your behaviour would have been affected by it. Therefore, if you’re feeling upset or emotional pull over (where it’s safe of course) and get some air or take a quick walk around before resuming your journey. Especially if you’re headed for the office or a meeting, others may wrongly interpret your behaviour if you walk in highly upset. Find a distraction but not something needing your hands if you’re still driving. Listen to the radio or your own music. Psychology would have it that you don’t dwell on the incident and direct your mind to something else. In the words of Richard Gladman: “Road rage does not affect everyone every day. If you’re finding it is happening very often, you might want to think about how you engage with other road users. Unlike pedestrians walking towards each other; who can easily get a feel of what the other person will do, where they might go or the mood they’re in, you have no such opportunities cocooned in your car. Find out how the price of fuel is calculated and how to save fuel here.